More than 90,000 protesters, including the indignad@s and supporters of the #YoSoy132 student movement, took park in nonviolent, nonpartisan marches against political and media corruption in Mexico during the presidential debates last Sunday. Social media activists affiliated with #YoSoy132 have issued a video calling for supporters across the world to build an international movement for real democracy regardless of national borders. 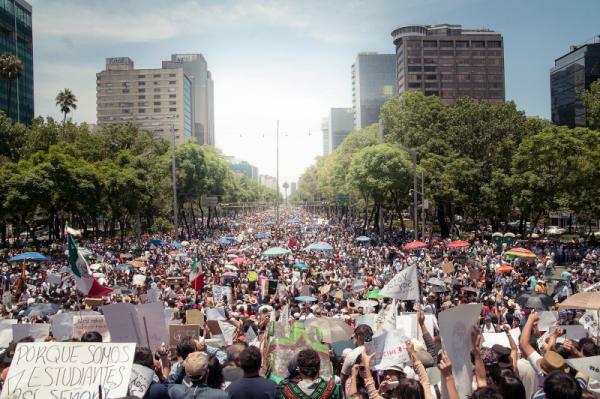 They ask for solidarity rallies at Mexican embassies and consulates to put pressure on the government and electoral officials ahead of the July 1 elections. Nice!! 90,000..>Where is everyone.. We need to take to the streets. We need Everyone! !